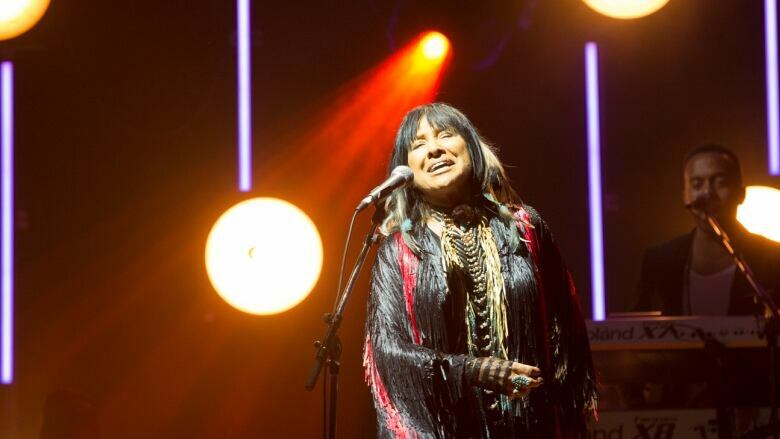 Buffy Sainte-Marie's Power in the Blood is a remarkable mix of strength, intelligence, wisdom, beauty, and energy. All month we'll be counting down the top 20 albums of 2015, our annual list of must-hear albums. Buffy Sainte-Marie's Power in the Blood — a remarkable mix of strength, intelligence, wisdom, beauty, and energy — takes our #15 spot. This record explores the places where the sacred can be found, in a world that seems all to ready to trample them. Whether it's our relationship with the environment, or our relationships with one other, Sainte-Marie celebrates them with passion. Power in the Blood mixes rock, folk, electronic, and indigenous influences. Her work is alive to the present, aware of the past, and engaged with the future. WEB EXTRA | Here's the powerful title track to Buffy Sainte-Marie's latest album. Those are elements that can be hard to summon in any of us, never mind in an album.